There is the saying ‘Sticks and stones may break my bones but words will never hurt me’. It’s wrong. I heard a variation on the theme just recently where I was told that someone thought that words don’t have consequences, only actions. That’s wrong too. Words are sounds. Sounds are vibrations. Sounds are waves that when they hit the eardrum of a conscious observer turn into sound and are interpreted by the brain. Sounds are a part of the fabric of creation. Not for nothing does the Bible say ‘In the beginning was the Word’ or insinuate that the first words spoken were “Let there be light.’ Kabbalah, the form of it practiced by people like Franz Bardon anyway, is the use of sacred sounds to create, to make magic. In a sense, this echoes the language of God that uttered those first words that created the Universe. Sounds are used to influence our thinking and thought patterns. Meditation sounds, spoken sounds like ‘Om’ have the same effect. Sounds create ripples and those ripples pass through creation whether you are aware of them or not. We are surrounded by thought and speech ripples. Sounds have also been use to levitate objects and even move objects around in science. Sounds and words have immense power to move people, destroy people and make them behave in certain ways. Beyond all of this, words have a psychological impact too. If you tell someone they are an idiot often enough they may in the end believe it. Words can be the basis of torture and mind control at one extreme and a powerful confidence booster on the other. 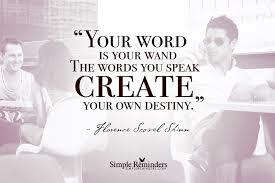 Words create. They create reality. 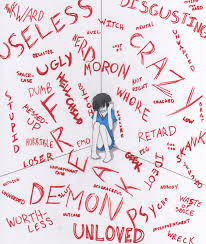 Words probably cause more damage than sticks and stones if we really think about it and they can have terrible and horrifying consequences. It is words that are used to poison minds to make terror, to persecute, to abuse and in some instances, engage in the annihilation of an entire race. Words can be used to express hatred and also love. Words are not just words.